I have no idea if this is actually Ep 31. There are a bunch recorded that need to be launched.. but let’s go with #31. 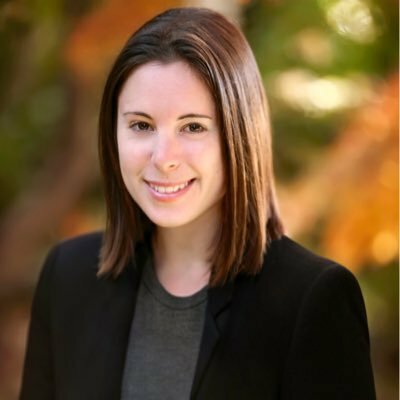 In this Episode of the launch hiatus-ed Automate and Grow podcast, I talk with Sarah E. Brown the author of Power to The Start-up People: How To Grow Your Startup Career When You’re Not The Founder. 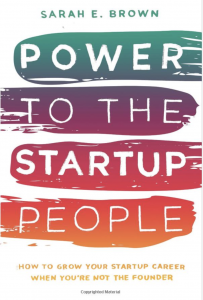 Sarah E. Brown wrote this book from the vantage point of being a startup employee. There are a lot of books written about founders, but with a desire to navigate her start-up employee/contributor career as successfully as possible, Sarah embarked on a two year journey to finish her book. Note: I have started a new 1 minute show called The Daily Growth. My feeling is that the concept of Automating a business has been more challenging and maybe got in the way of you, my interesting and interested tribe from the perhaps more enjoyable concepts of growing a business. With the positive reception of the shorter episodes on LinkedIn, Facebook and YouTube, I am thinking that the future of the podcast should be around Growth and Start-ups. Most interviews were frankly with founders and experts and dealt with their Start-up Growth stories anyhow. What do you think? Would you like to see this podcast re-made as the Daily Growth Podcast? Or perhaps the Start-up and Grow Show?